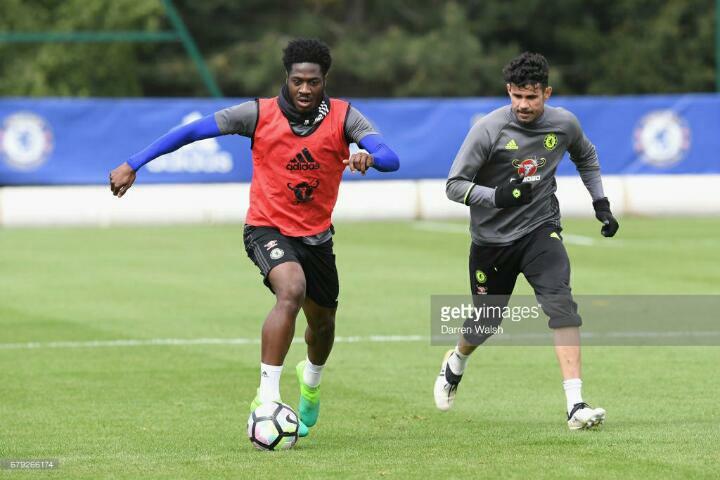 Nigeria have received clearance from Fifa for Chelsea defender Ola Aina to make his international debut in the World Cup qualifier against Cameroon on Monday. Coach Gernot Rohr said Aina, who can play at right-back or left-back, could now line up in Yaounde as the Super Eagles look for a second victory in four days over Cameroon. "Fifa have approved Ola Aina, who can now play for Nigeria," Rohr said in Uyo where Nigeria thrashed Cameroon 4-0 on Friday to take a giant stride towards qualification for the finals in Russia. The player was born in London to Nigerian parents. Although he has a Nigerian passport, he has represented England at various junior levels and so needed to apply to change his international allegiance. Rohr had hoped to use Aina in the first clash against Cameroon but the Fifa clearance did not arrive in time. Nigeria have nine points from three matches in Africa zone qualifying group B, while Cameroon remain on two points. Zambia and Algeria have a point each and meet on Saturday in Lusaka.